The yearly Mardi Gras celebration helped to put the Big Easy on the map, but as travelers from all over the world have discovered, there is so much more to New Orleans than the annual festival. The smooth, smoky sounds of jazz drift lazily from the bars, revelers dance through the cobblestone streets of the French Quarter and horse drawn carriages carry lovers around charming Jackson Square. In a city that never sleeps, New Orleans is a wonderful place to visit whether it is for a romantic getaway, family vacation or business trip. This is a modern day city where splashes of Old World charm can be seen at every turn. The Garden District, with its beautiful homes that are reminiscent of the Old South and the stately trees that line the streets, is a spectacular place to enjoy a late afternoon stroll. Once you have visited New Orleans, you will find yourself returning again and again as the years go by. It is a city like no other in the United States. 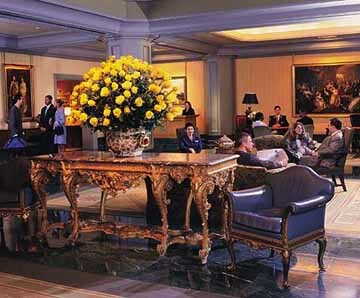 When visiting the Big Easy, many travelers opt to stay at the luxurious Windsor Court Hotel. Like the city itself, after one stay at this five-star property guests will find themselves returning over and over again whenever their travels lead them back to New Orleans. The Windsor Court Hotel has an impeccable reputation and is the only hotel in all of the United States to earn the title of Number One Hotel in the World three times by Conde Nast Traveler. The lobby, with its ornate green marble floors, oriental rugs and gold leaf table topped with 12 dozen roses that are flown in weekly from Ecuador, is just a glimpse of what�s to come if you are a guest of the Windsor Court Hotel. Art connoisseurs will fall in love with the vast art and antique collection dating back to the 17th century that is valued at eight million dollars. World savvy travelers will be smitten with the Windsor Court Hotel and with good reason. 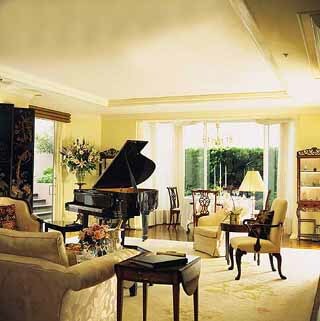 The Windsor Court Hotel in New Orleans boasts 324 elegantly appointed guest accommodations 58 of which are Deluxe Guest Rooms and 268 Suites spread out over 23 floors. There are also two Penthouse Suites for those who want to absolutely wallow in the lap of luxury. Warm earth tones adorn the walls and the furniture is classy, yet comfortable. Both guest rooms and suites offer either large bay windows or spacious private balconies featuring spectacular views of the Mississippi River or the infamous French Quarter. Bathing is an entirely different experience with plush bathrobes and luxurious toiletries awaiting each and every guest in the ornate bathrooms. Other bathroom amenities include clothes hamper, thick cozy towels and two hairdryers. 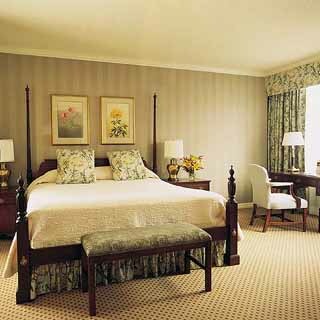 The Deluxe Guest Rooms also feature a pair of private dressing rooms. The floor plans of the roomy suites include a private foyer, a private bedroom separated by French doors, a marble bathroom, dressing area, living area and kitchenette. The two Penthouse Suites feature their own beautifully manicured terraces. There is no better view of the city than from here. The in-room amenities offered at the Windsor Court Hotel in New Orleans more than surpass those offered at many hotels. All accommodations are equipped with an entertainment center that features a remote controlled color cable television and VCR. Both business and leisure travelers will appreciate the in-room accessibility to the Internet. Other amenities include three dual-line telephones, mini-bar, voice mail, data port and fax machine. To ensure maximum comfort for guests, all accommodations are individually climate controlled. Complimentary newspapers are delivered to guests� rooms daily. Handicap accessible rooms are available upon request. Check-in is at 3:00 pm and guests must check-out on the day of departure by noon. Children ages 12 years and under stay at the Windsor Court Hotel free of charge. The guest services offered at the Windsor Court Hotel are what one would expect from a hotel that has been the proud recipient of so many prestigious awards. The highly trained, extremely professional staff takes great pride in ensuring that each and every guest�s stay at the hotel is as relaxing and comfortable as possible. The concierge will be more than happy to help guests secure dinner reservations at any of New Orleans� excellent dining establishments. The concierge is also the person to see if you want to explore and visit the Big Easy�s best kept secrets. Other guest services include bellman, housekeeping, dry cleaning, laundry, shoeshine, valet, housekeeping, nightly turn-down, parking and round the clock room service. Mom and dad can enjoy a night out on the town by themselves as the hotel provides babysitting service in a safe and fun environment. Exercise enthusiasts will be pleased to discover that the Windsor Court Hotel houses its own state-of-the-art fitness facility. Located on the fourth floor, guests can get in a good workout and then reward themselves with a relaxing sauna, steam or massage. Guests may even opt to enjoy a massage in the privacy of their own rooms. Sunbums can catch some rays poolside during the warmer months and relax in the Jacuzzi during the colder times of year. Although New Orleans is home to some of the most celebrated restaurants in the world, guests of the Windsor Court Hotel need not even leave the property to enjoy one of the most delicious meals in the entire city. Like the hotel itself, the Grill Room has also been on the receiving end of several prestigious awards including the Mobile five-star, AAA five-diamond award. 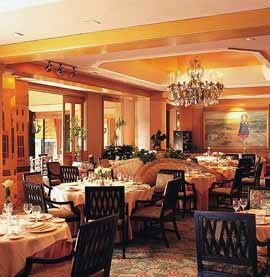 This fine dining, elegant restaurant also boasts a wine list that will send the palate into bursts of song. Afternoon tea, a British custom to match the English feel of the Windsor Court Hotel, can be enjoyed in Le Salon along with chamber music. The ambiance of the Polo Lounge is reminiscent of a private English club. The only difference being the savory Louisiana-style cuisine that is served. The Polo Lounge is also a wonderful place to enjoy a pre-dinner cocktail or unwind with a nightcap. An evening spent at the Polo Lounge enjoying live jazz will quickly explain why the city of New Orleans is so enamored with this genre of music. Guests can keep up with what�s going on in the outside world by visiting the reading area that is located on the second floor of the hotel. A rack filled with newspapers from all around the globe will tell you all you want to know whether it�s the weather in Sweden or soccer scores from England. 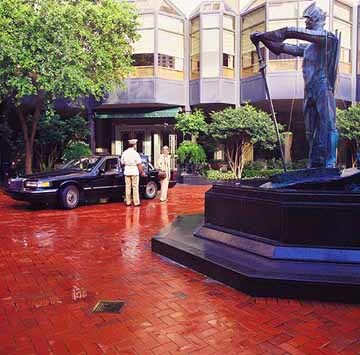 The Windsor Court Hotel is located at 300 Gravier Street in the heart of New Orleans� Business District. The hotel is only minutes away from all of the wonderful attractions that make the Big Easy such a unique city including the French Quarter, Jackson Square and the Aquarium of the Americas.